Sorry, probably not clear, I meant a link to a web page or anything, and where you got the physical parts from. I did answer, interpreting "stuff" both as information and materials in separate paragraphs! The thing is that I can't give you any specific link. I've looked at the specification sheets for Ambu electrodes, manuals for nurses on ECG electrodes, an instructables page on third-world disposable electrodes using beer bottle caps, flour, and salt; various articles on ECG electrodes; and so on. I haven't kept links to many, just picked up little bits of information, like the idea of roughening skin with a towel after washing forehead. Quite a bit of the stuff I say can't be found anywhere (how to convert Ambu electrodes with the wrong connector, differences between types of surgical tape). In other words, as far as I know there is NOWHERE on the Web you will find any information relating to Zeo which describes getting more than two nights from a set of electrodes, or how to extend their life, or just about anything on non-Zeo-branded disposable electrodes.. Postings in this thread 160 (most detailed), 282, 320, and recent ones, are the only source I know of. There is quite a lot of information in various places on making Zeo-compatible long-life headbands with sensors (using the original Zeo transmitter, for which there is no replacement). Perhaps I should claim 20 nights as the world record for duration of disposable electrodes with Zeo, beating the previous record of 2? I have no interest in being world champion, but this might provoke others in trying (probably successfully) to beat me! Parker Labs instructions on application of Tensive. Various Amazon and other reviews on Ambu electrodes, Tensive, and Hypafix, and other forum discussions on them. I'll try and answer anything you ask, but that's pretty much a complete set of links relevant to electrodes from my notes. Thanks for all the sensor advice. I decided to start small and wiped the fabric contacts with antiseptic (alcohol) wipes last night. The wipes ended up pretty grubby but I had a worry I was damaging the conductive fabric as much as removing residue! So I was quite pleasantly surprised that the sensor still worked! With the new viewer I can now determine that I did get one drop out last night, of a few minutes, but only one. Before that I'd been regularly getting a few short and an occasional longer drop out per night. Will try the same routine again tonight, see if I can establish whether the sensor is recoverable or at least doesn't get any worse. I'm still at the point of having two new sealed headbands to use, so I can effectively sacrifice this one if it helps to establish how to get the best performance out of the others! Thanks, that's very useful information. One of the problems with reviving headbands is the risk you'll make them worse. It would appear that an alcohol wipe helps to remove gunk but doesn't affect the electroconductive silver. It would be useful, in the fullness of time, to know the ultimate life of the electrodes on headbands - it might be very long if the silver isn't actually removed/eroded. Maybe when wiping no longer works a liquid alcohol (ethanol, isopropyl, of good purity, to evaporate without a trace) might extend the life? Zeo recommends washing in water (I don't remember the small print), though alcohol is a better degreaser, I wouldn't want to experiment with detergent in water. If I'd known this I might have delayed moving to disposable electrodes when headbands stopped being easily available. Thanks for that article, it may be very handy to send to a doctor who did my wifes last sleep study and completely dismissed looking at any of the zeo data. 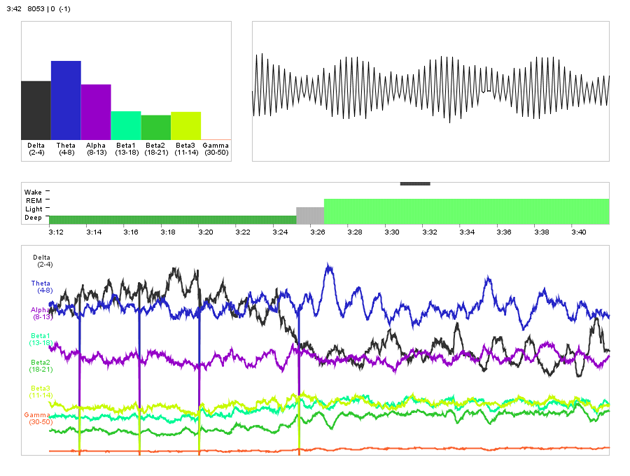 [The article "Assessment of a wireless headband for automatic sleep scoring"] may be very handy to send to a doctor who did my wifes last sleep study and completely dismissed looking at any of the zeo data. I'm glad that this is new, and of use (it is a respectable scientific evaluation of the Zeo headband system against the standard methods of quantifying sleep). Good luck with convincing the doctor; such an article is difficult to dismiss, though there are other respectable articles. There are a number of other sources of information that I have assumed everybody knows about; for example I can dig up a link to a series of 4 YouTube videos by Zeo explaining "How Zeo works" if they're not generally known about. This posting applies only in reference to people who are found by conventional polysomnograph (PSG) testing (Zeo would probably find the same) to be sleeping reasonably well, but who insist they can't sleep, or sleep didn't restore them. They are usually called pseudoinsomniacs, sleep hypochondriacs, subjective insomniacs, or sleeping insomniacs. They are typically, for example, prescribed pills and told to stop watching television in their bedrooms. An article published in "New Scientist" magazine for 14 May 2014, issue 2969 (in libraries, available online to subscribers on the magazine's Web site, and findable elsewhere by its Web title "Awake asleep: Insomniac brains that can't switch off" (e.g. http://stirling-westrup-tt.blogspot.co.uk/2014/05/tt-ns-2969-awake-asleep-insomniac.html, though this doesn't include the important graphs) describes some recent work. Basically we know sleep is distinguished into several phases, detected largely by brain-wave characteristics. Wakefulness has waves of short wavelength and lower amplitude; restorative deep sleep has much longer waves of larger amplitude (delta waves), and so on. Analysis has involved an expert looking at rolls of PSG output, characterising the phases of sleep, and adding up the time in each. The new analysis involves nothing more complex that normal mathematical periodical wave analysis (spectrum analysis). On looking closely at the delta waves of pseudoinsomniacs only, the long delta waves can be seen to have bursts of short, lower-amplitude, beta waves superimposed on them, intrusions. Fourier analysis (viewing not amplitude as a function of time, but the frequencies present and their amplitudes) confirms and quantifies this. Their trouble is not that their sleep is insufficient, but when they sleep their brains are not quite switched off. Awake or not, around the clock their brains showed more activity than normal sleepers. They were also found to pick up new tasks more quickly than normal, rested, sleepers. Going a bit wider, alpha intrusions seem to correlate with many problems unrelated to sleep: chronic pain, chronic fatigue, depression, PTSD, and in the sleep of people with fibromyalgia, which causes chronic pain. The article goes on to discuss possible explanations, and treatments being tested. I don't know enough about Zeo to know if, even in principle, a Zeo with RS232 output could show any of this. It would certainly involve spectrum analysis software (analysis modules are easily available, though). I hope this is of interest, best wishes. However, it would be possible to measure this with that output. It might be feasible for the more dedicated to plot, say, the ratio of the amplitudes of high-frequency to low-frequency waves during periods characterised as low frequency? Probably with the detail available via RS232, rather than stored data. This would primarily be of interest if several people with different sleep patterns contributed records. Probably problematical, as they'd all need an RS232 computer hookup and an agreed protocol and file standard. 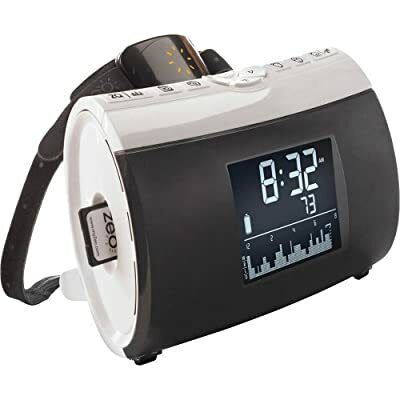 One, not theory, not hypothesis, not speculation, but wild guess: from what I remember of reading on Zeo technical discussions, and I think reviews on Amazon, the Zeo has particular difficulty distinguishing between wakefulness and REM sleep. (I don't think this applies to me, time logged as awake is about what I expect.) It could be that this applies largely to people with a tendency to pseudoinsomnia, who have bursts of "awake" waves in the middle of their sleep, making it difficult to distinguish? I remember reading evaluations of the Zeo against full polysomnographs where the outcome was that the zeo was very good at determining sleep stages with its only weekness being the onset of sleep. It is hard to tell between rem and awake, if you don't have a separate eye sensor. Hey, all. I'm wondering if anybody with the mobile version of the Zeo is willing to share any spreadsheets or other means of analyzing the data that mobile users can send themselves via the "Diagnostics" method. I successfully sent myself the data (both sqlite & plist files) but do not have the Excel savvy yet to parse the data into something meaningful. Not looking for anything super-polished, anything that helps me to see more than the daily feedback would be most appreciated. Thanks in advance! I tried to read the full thread here, because I would love to get my zero mobile working again. Is there a way to get it working with Iphone?.. will the old app still work and how do I get it? Alternative is Android a path forward? When I started using ZeoDecoderViewer0.212Release I noticed that the data for each night contains a heading headband_impedance. Less impedance is a better connection. This seems to be a direct measurement of the connection during use so it is possible that an impedance below some magic number is required for good operation. The first night's data file shows impedances (ignoring zeros and the first and last readings) from 129 to 134. The date is August 21, 2013. My last checkup due to a Zeo announcement to replace the headset was August 16, 2014. The impedances observed on that date were from 128 to 133. Following my lotion procedure seems to be working. (full description later) What is not working is that the headband stretches slowly over the months and must be tightened occasionally. Eventually I will run out of adjustment in maybe another year. Every night before going to bed I coat my forehead with Avalon Organics Hand & Body Lotion Lavender scented. Sold by my local food co-op with bar code 54749-35200. The lotion's first 2 ingredients are water and Aloe Barbadensis Leaf Juice. The lotion seems to be kind to the sensor pads. In the morning after taking off the headband I dab the sensors against a sheet or pillowcase to remove any remaining lotion. I started using the lotion because a dry forehead does not always work. The Aloe seems to provide a conductive path. The lotion is also kind to your skin. Maybe this scheme might work for you or other people. A comment about using solvents for cleaning fabrics in general: I use organic solvents (e.g., alcohol) for removing grease stains from clothes (accidental spots at home, not professionally). If you rub with a solvent there is a tendency simply to spread the spot, making it less dark, but bigger. To get around this, you put a clean absorbent pad (rag, kitchen towel) on top of the spot, then rub it from the back with plenty of solvent. To a great extent the dissolved grease is washed onto the rag, and much less is left on the garment. In the case of Zeo, you'd have a thinner grease layer, which would improve conductivity, but grease would still be building up. I don't know if, and how, this generalises to the Zeo headband; you certainly can't expect solvent applied from the back to have this effect, it won't go through. But maybe applying plenty of solvent and, critically, using a kitchen towel to remove it, would be better at permanently getting rid of grease. Possibly even immersing in solvent? I might try this on my set-aside headband, though I've moved to using a set of disposable electrodes every couple of weeks. Of course, there's always the concern that some of these things would affect the conductivity of the silver-impregnated fabric. This is all about grease because that's what water doesn't touch, and organic solvents do. I don't know what problems there are with things that don't dissolve in either. Nurses who apply ECG electrodes are recommended to wash the area and roughen it slightly by rubbing with a cloth (from memory, I don't remember where I read this). I don't know if they actually do this routinely; fresh disposable electrodes work pretty well on reasonably clean skin without any preparation. But washing and lightly abrading might also help with headband conductivity and lifespan. It would also minimise build-up of gunk. If anybody on this thread would like to volunteer to write a summary post about how to continue using Zeo even though the company is out of business, with a general overview and index w/links into the specific posts where more detailed info on specific topics can be found, we'll stick it up top and link to it from the web page. There is a lot of great info here but admittedly hard to dig through. Consumables: DIY headbands, disposable electrodes, extending the life of Zeo headbands. Firmware update, mainly to remove encryption of stored data. Software: to process and display data, for clock and for mobile phone. Transmitter battery replacement, when information becomes available. Miscellaneous information on care and maintenance, if there is any. Any new developments of Zeo-like apparatus, or relaunch by new owners, if and when applicable. Maybe there should be a few planned sticky posts to cover these topics separately in an organised way, rather than just one? I can contribute regarding the use of disposable electrodes; as far as I know I am the only person in the world who has reported using them for more than two nights (I'm waiting to be challenged and hoping to get others involved, not relishing this position). I got 20 nights of effective use out of 1 set of 3 electrodes when experimenting with maximum duration, though I normally get more like 10-14 with no special care. I've posted at length on disposables: #161 is my main and most detailed posting, with a bit more in #284 and #322. Maybe my post #161 could be used as a starting point for the use of disposable electrodes? They are expensive if used at the rate of 3 per night, but probably cheaper than Zeo headbands were if eked out (I think I can manage on £10/year for outdated electrodes, plus a little tape and gel). That's a great outline. Let's see who else volunteers and we can self-organize here.